We have a gorgeous giveaway to kick off the week. 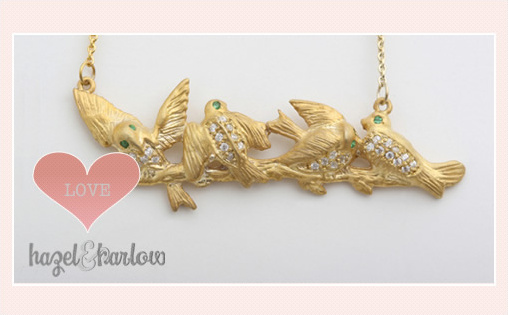 Hazel & Harlow is allowing one lucky reader to choose either the heart of gold pendant or the hummingbird necklace. Both adorable, yet very elegant. All Hazel & Harlow pieces are hand carved, hand etched. Simply perfect for a bridesmaids gift or to wear on the wedding day. Actually they are perfect to wear whenever. 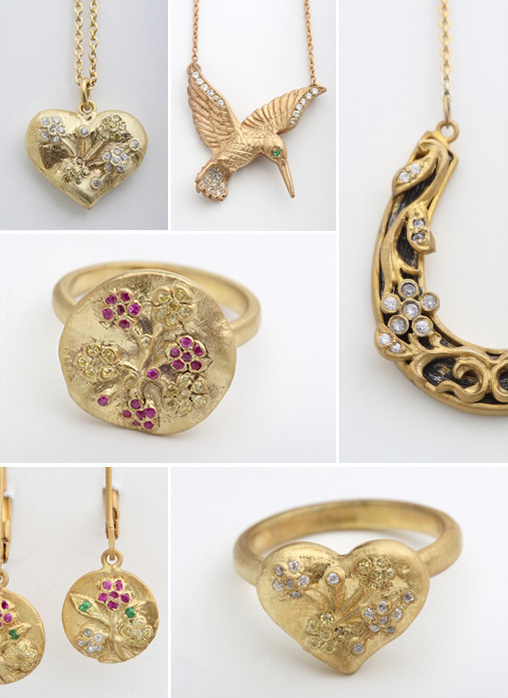 I am super into the heart life vine ring. I can already picture wearing it. In order to win one of these beauties all you have to do is visit Hazel & Harlow and share with us what you must have. Enter as many times as you like the contest ends this Friday. We also wanted to mention Hazel & Harlow's Last Minute Sales. Only lasting about a day. The selected item will be 40-75% off. Once the sale ends the piece goes back to the original price. A total steal! In order to find out about these amazing deals all you have to do is join their mailing list. A total way to get what you are pining over at a great price. The winner will be announced this afternoon! Thanks for entering.